Hi everyone! 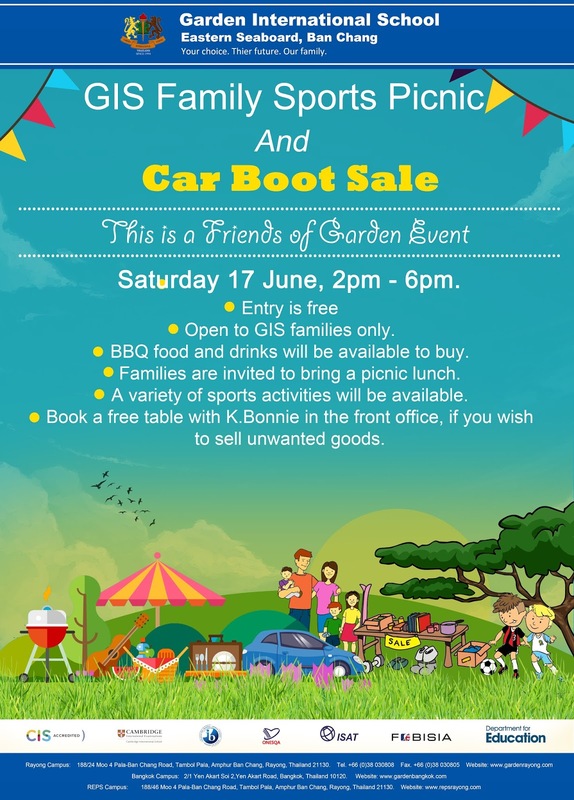 Please remember that our annual GIS Family Sports Picnic & Car boot sale will be held at the school on Saturday June 17, beginning 2 pm. For those who want to sell or buy ... the Car Boot Sale table plan is now with K. Bonnie and our front office staff for you to book you table ... free to all GIS staff & families.